Laura Gaughan works with non-profit and public-sector organizations to shape the strategies and stories that advance their cause. Drawing on wide-ranging skills in policy analysis, communications, research, and facilitation, she marshals information and makes it meaningful, compelling, and usable. From speeches to social media, strategic plans to surveys, she helps clients engage their communities and project effective messages. 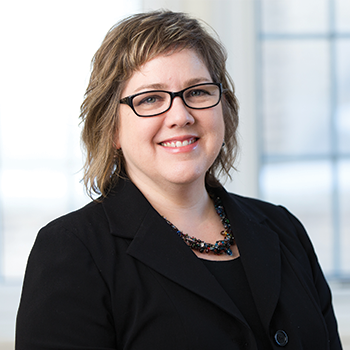 Laura brings extensive experience in consulting and postsecondary teaching. She holds an M.A. from Syracuse University’s Maxwell School of Citizenship and Public Affairs and a B.A. from the University of Toronto. She completed the Humber School for Writers Creative Writing program, as well as attending literary conferences and workshops, including One Story Writers Workshop and the Tin House Summer Workshop. At Laridae, she has helped clients such as the Canada Council for the Arts and Art Gallery of Northumberland with engagement projects. As well, she developed strategy and managed stakeholder engagement for the Superior North Youth Arts and Culture Strategy. A published author, Laura’s fiction and essays have appeared in Canadian, Irish and US literary journals and anthologies, as well as the Globe and Mail and U of T Magazine. Her first book, a short fiction collection entitled Motherish, was published by Turnstone Press in September 2018. Laura has been a volunteer for several community organizations, including Children’s Stage Lakefield and the Lakefield Literary Festival. She currently serves as Vice Chair of the Board of Directors of the Lakefield Literary Festival, manages their social media presence, and coordinates their writing craft talks.